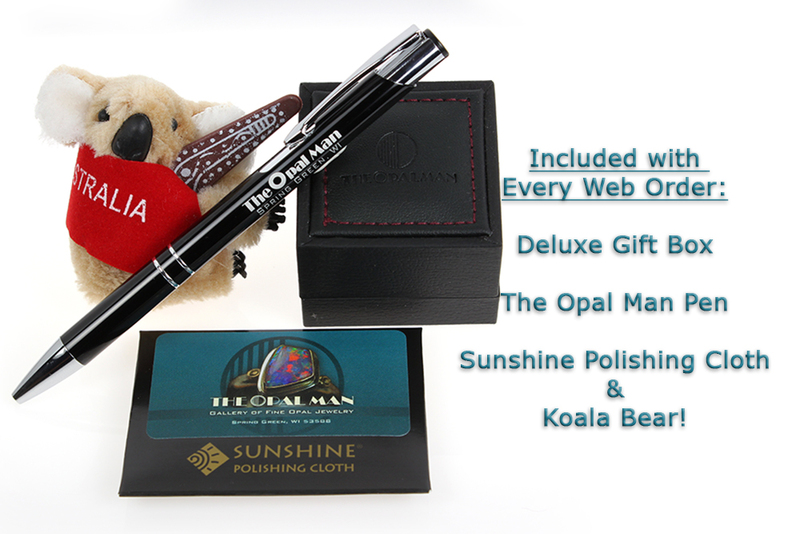 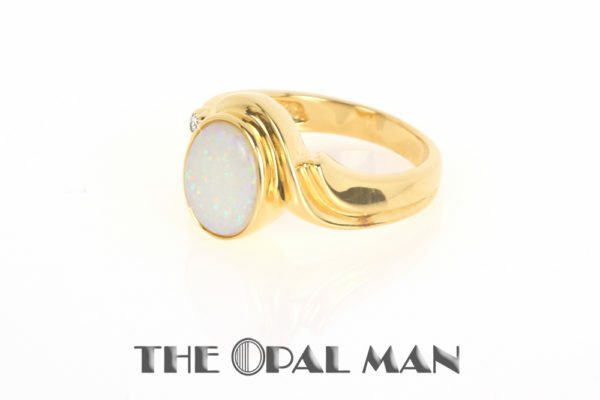 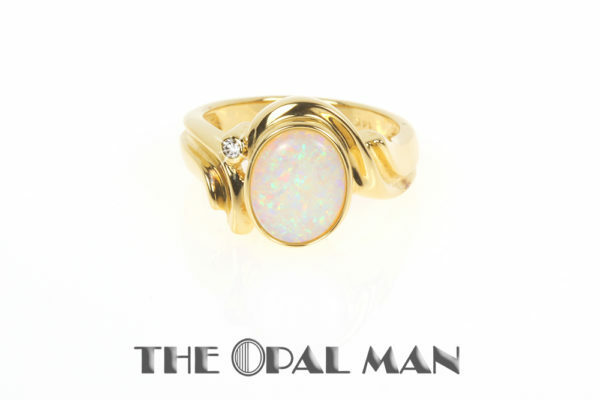 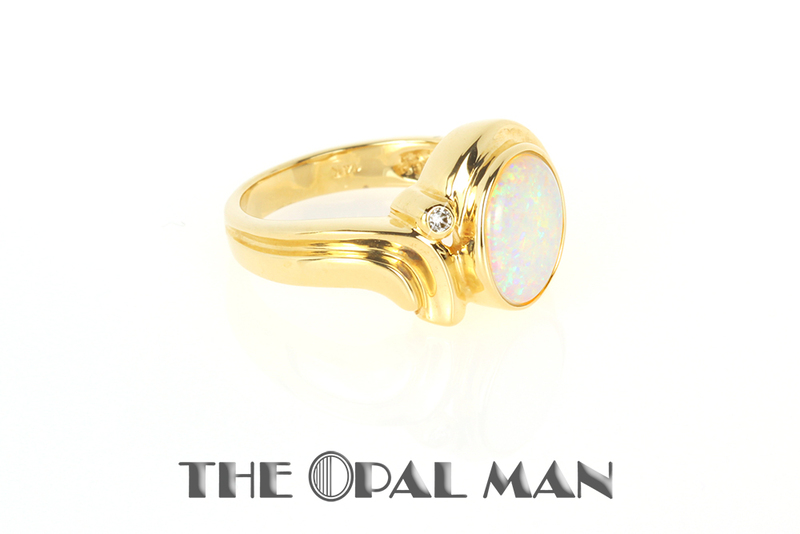 Australian white opal set in 14k yellow gold art nouveau ring with diamond accent. 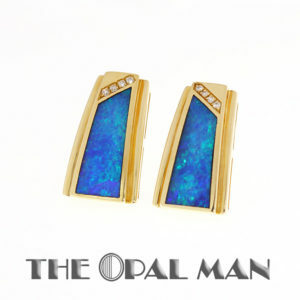 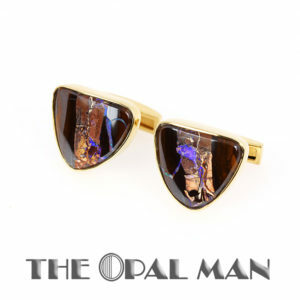 A more traditional white opal is the focal point of this art nouveau inspired piece, with its glittery, multi-color pattern. A very classy ring.